Looking to get to a higher level? 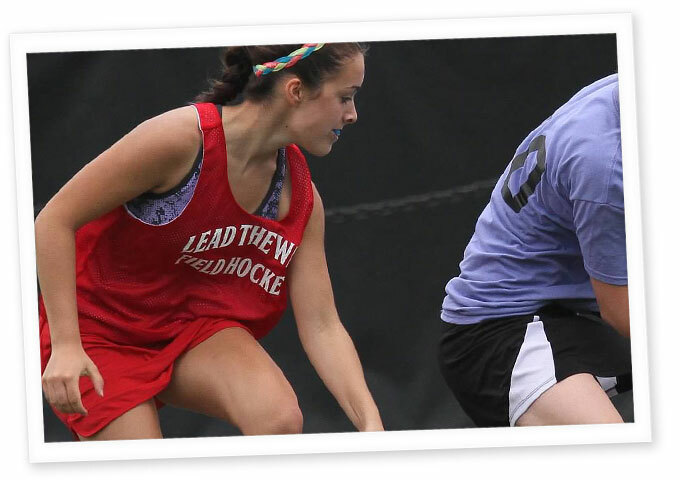 The goal of Lead the Way Winter Field Hockey Programs is to provide consistent training, improve participant’s skills, and provide a high level of coaching in a more competitive environment. Programs are offered to athletes ranging from 1st-12th grade and will be offered in several locations. Winter programs practice one time per week and are held indoors. Winter programs are 6-8 weeks in length and are a pipeline to LTW Club Teams. For more information on LTW Club Program please go to LTW Club Programs tab General Information. The Next Tryouts for U12, U14, U16 & U19 Select will be offered in March 2019. The goal of the youth program is to provide an opportunity to introduce field hockey in a fun and supportive environment. Programs are for the beginner to intermediate player and are offered seasonally throughout the year. The winter practice will be held indoors on astrograss. Each practice session will inlcude basic fundamental skills, small game play and fun competitions. Offers consistent training and teachs the fundamental skills of the game in a fun and competitive environment. Through repetition of fundamental skills girls build a strong field hockey foundation preparing them to play at the next level. Practice sessions will include 1v1 skills, passing and receiving and shooting. Each session will include coached scrimmages. Programs are offered to athletes ranging from 5th-8th grade, beginner to advanced players. Participants will be grouped according to their age, playing experience, and current skill level. Goalkeepers are encouraged to register and must provide their own equipment. Requirements: 6th-8th Graders (experienced 5th graders are welcome) Players will be grouped by experience and skill. Catering to all levels from the beginner to the more competitive and skilled player. Middle School Advanced Training Session Requirements: 6-8th graders, intermediate to advanced players plus 5th graders with experience may register. Players need atleast 2 season of experience and be ready to learn more advanced skills. Goalkeepers always welcome! Requirements: 5th-8th graders, beginner to advanced players welcome Goalkeepers always welcome! HighSchool Training Session Requirements: 8th-12th graders, beginner to advanced players plus 8th graders with 2 or more years experience may register. HighSchool Advanced Training Session Requirements: 8th-12th graders, intermediate to advanced players plus 8th graders with varsity experience may register. Players need at least 2 season of experience and be ready to learn more advanced skills. Goalkeepers always welcome! Requirements: 8th-12 Graders (experienced 8th graders are welcome) Players will be grouped by experience and skill. Catering to all levels from the beginner to the more competitive and skilled player.